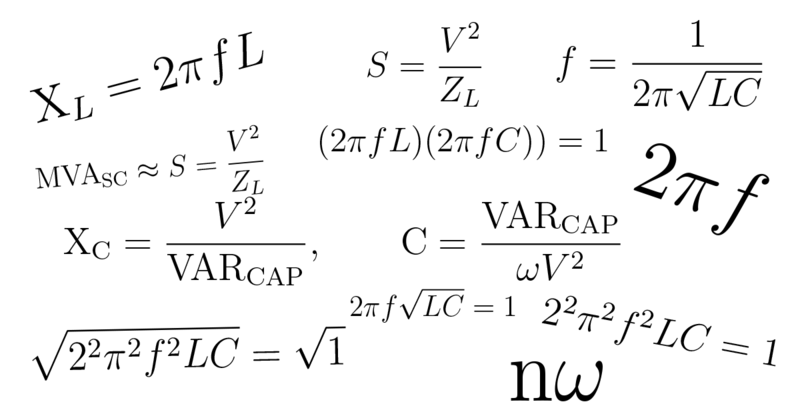 Our NEW white paper describes the derivation of the feeder resonance approximation formula. Substation circuit loads are mostly inductive, dominated by distribution transformers and large motors. Canceling a portion of this inductance with Power Factor Correction capacitors (PFCs) improves power factor by reducing resistive losses. However, introducing capacitance also creates resonances, or frequencies where the system impedance peaks. Estimating the primary system resonance is important for understanding the implications of adding or changing PFCs on a feeder. A simplified formula for this estimation is shown in this white paper.